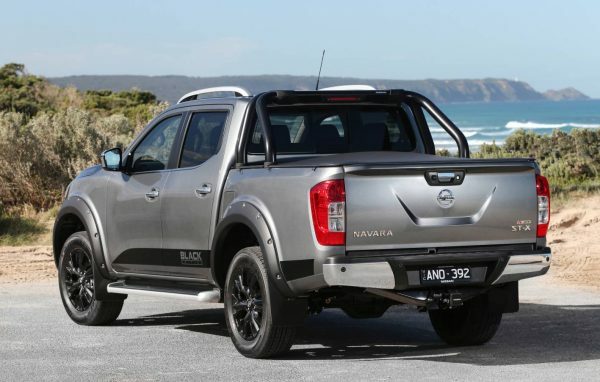 The rugged Nissan Navara just got even tougher thanks to the introduction of the N-SPORT™ Black Edition. Limited to 500 units only, and available on the top-of-the-range Nissan Navara ST-X Dual Cab 4×4, the impressive assortment of stylish Black Edition accessory and decal additions make the Navara even better. The Navara N-SPORT™ Black Edition consists of a range of Nissan Genuine Accessories which include a black sports bar and a black nudge bar, a fitted LED light bar, and black fender flares that arch around the tough 18-inch black alloy wheels. It also has a black gloss honeycomb grille and smoky chrome fog lamp finishers, a black soft tonneau cover, N-SPORT™ badging and ‘Black Edition’ decals. On sale now, the N-SPORT™ Black Edition complements four contemporary exterior colours including Cosmic Black, Slate Grey, Brilliant Silver and Diamond White. Prices start at $54,490 (MSRP)* for the 6-Speed manual and $56,990 (MSRP) for the 7-Speed auto alternative; with some great value deals available for those with an ABN. 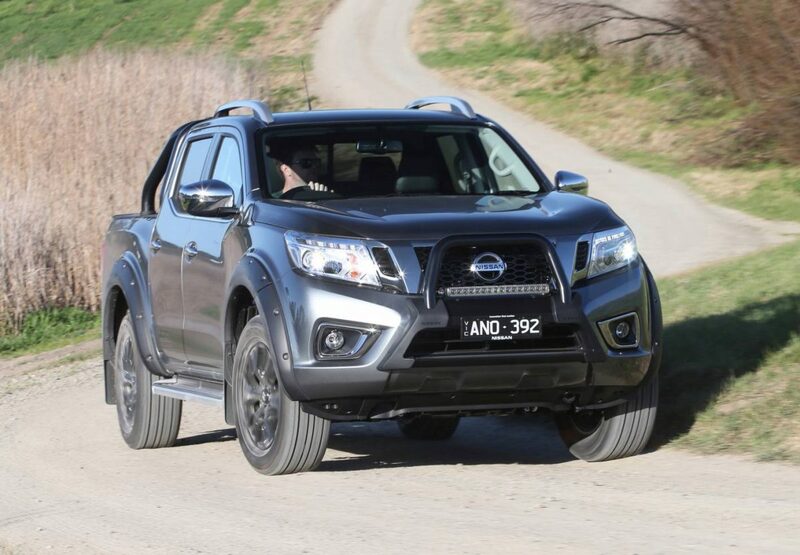 “The N-SPORT Black Edition gives the Navara a tough looking make over,” said Nissan Australia managing director Richard Emery. “Black is all the rage at the moment and certainly makes the Nissan Navara ST-X Dual Cab stand out. The Nissan Navara ST-X Dual Cab 4X4 has a 2.3 litre intercooled twin-turbo diesel engine that outputs 140kW of power and 450Nm of torque. 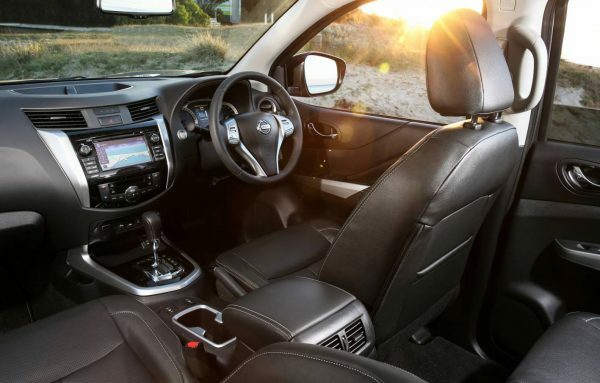 Including satellite navigation with 3D mapping, reverse camera, reversing sensors and 7-inch integrated colour display with touch screen, the Navara is the perfect companion for families with an active outdoor lifestyle, or for those that need a tough ute on the job. With a shift-on-the fly 4WD system that switches between 2WD and high range 4WD (4H), it also carves through mud and sandy terrain when in low range 4WD (4LO). Boasting 3,500kg braked towing capacity, the Navara ST-X Dual Cab 4X4 also comes with driver and passenger airbags, driver knee airbag and front to rear curtain airbags, Vehicle Dynamic Control (VDC) with Brake Limited Slip Differential (BLSD), Active Brake Limited Slip (ABLS), Brake Assist (BA), Hill Start Assist (HSA) and Hill Descent Control (HDC).